Gentle Family Dentists offers two forms of clear aligners to give patients a straighter smile without the hassle of traditional braces. These aligners are easy to use and fit in with your natural smile, making them extremely popular for working professionals and adults. Dr. Moreno and her team have helped countless patients using two clear orthodontic methods, Invisalign and ClearCorrect. These methods are very similar, but ClearCorrect is often less expensive and is an American product. We’ll help you find the right solution for your smile. Give us a call today at 563-288-2612 to schedule your orthodontic consultation. Today we want to show you a little more about what to expect from your clear orthodontic aligners. One of the great things about Invisalign and ClearCorrect is that the trays are removable, but it’s important to wear the aligners between 20 and 22 hours a day. We’ve treated enough people with Invisalign and ClearCorrect to know that it’s easy to not wear your aligners long enough or even misplace them. The aligners should only come out for cleaning and eating. Typical treatment time for clear aligners is between 12 to 18 months, but that treatment will take much longer if your forget to wear aligners or do not wear aligners for the required time. You read earlier that the aligners can be easily remove for eating. However, don’t just eat and put your aligners back into your mouth. Give your aligners a quick rinse and brush your teeth. We advise patients to carry around a little travel toothbrush, so they can brush their teeth at work or after after a lunch or dinner date. It’s best not to trap the food debris on your teeth as that increases the risk of tooth decay. Our aligners are virtually invisible. They fit perfectly over your teeth and do not draw any attention to your teeth. That is, if you do not stain your aligners. You can drink with your aligners in your mouth, but it’s important to not overdo it with dark drinks. Beverages like coffee or tea or dark soft drinks can stain the aligners. So try to dial it back on those beverages whenever you’re wearing the aligners or eliminate those altogether. While our aligners fit over the teeth, your first set of aligners might feel a little odd on the teeth. And so, that might affect your speech. Some patients notice a small lisp whenever they first receive their aligners, but these issues usually go away after a few days. These are just a few things to know about Invisalign and ClearCorrect. 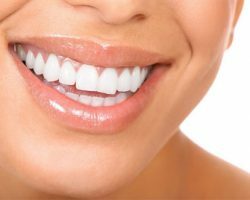 If you have correct teeth, let us take a look and show you what these appliances can do for your smile. Give us a call today 563-288-2612 to schedule a visit.